Les Miserables is one of those shows that will probably be around for ever – and rightly so. The show is an all time classic and loved by millions of fans around the world. It has a great story, interesting characters and a score to die for. The cast is now led by Geronimo Rauch as Jean Valjean. He has already played the part in Spain to rave review. 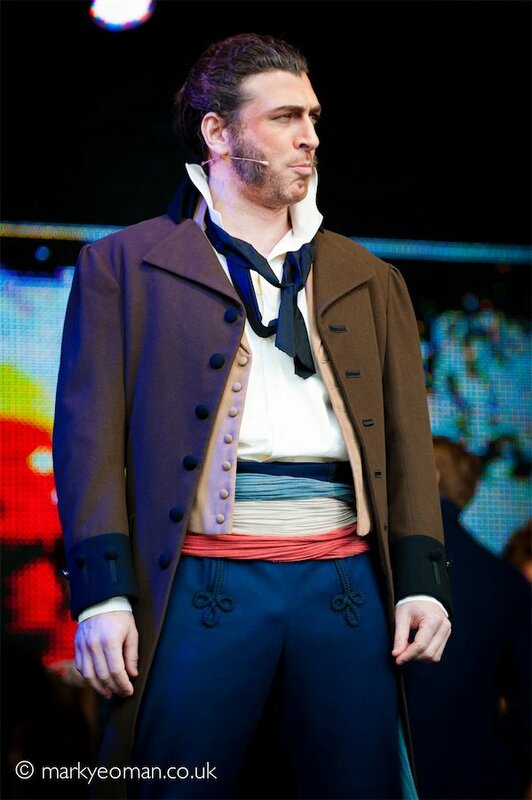 His Valjean is very physical and his voice is strong and suits the songs well. He doesn’t have a strong Spanish accent but I admit I found his pronunciation slightly irritating from time to time. One of the things I enjoy watching the most in this show is the interaction between Valjean and Javert. Tam Mutu has taken over from Hadley Fraser as the latter and delivers a particularly strong performance. Sadly I don’t think him and Geronimo work too well together. Tam’s Javert seems to dominate Geronimo’s Valjean both physically and acting wise. I have seen Tam in Love never dies and whilst I liked his performance in this show I was never blown away by him. Being a fan of Hadley Fraser I was slightly worried about seeing Tam take over as Javert. But I can honestly say my worries vanished the moment he appeared on stage. 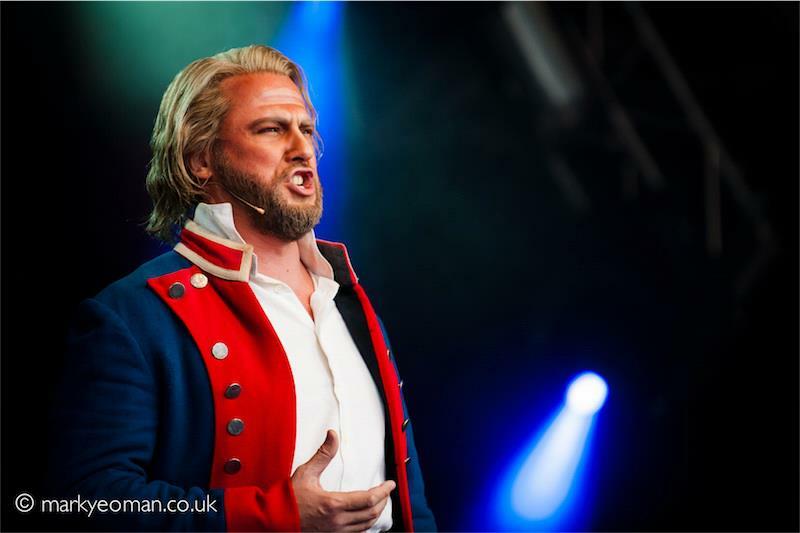 His Javert is driven and strong and I loved his portrayal of the role. I never thought I’d say this but I actually preferred his suicide scene to Hadley’s. One of my highlights of the new cast is Sierra Boggess. She has to be the most fragile Fantine ever – I just wanted to hug her and tell her everything would be alright! Her voice is impressive – as expected – even though she seems to struggle a bit with the lower tones in “I dreamt a dream”. I especially liked to see her play opposite Tam Mutu. You can see that those two know each other inside out by the way they work together on stage. 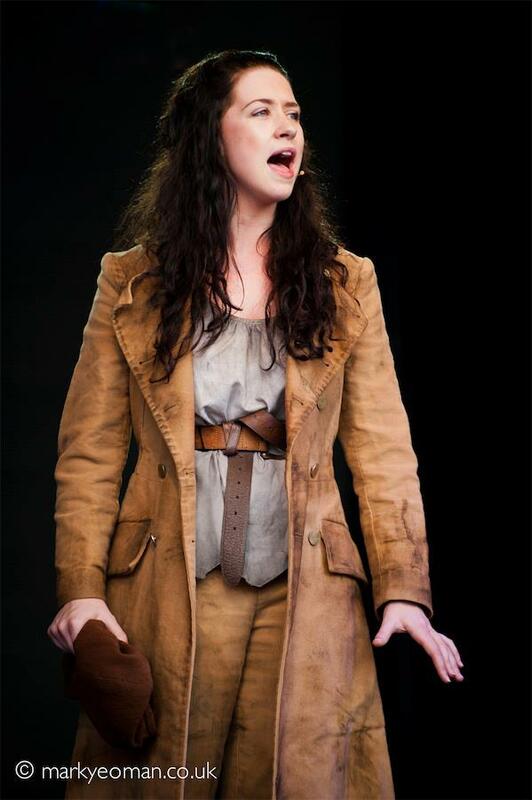 Danielle Hope’s Eponine is both perky and vulnerable. I wasn’t too impressed by her “On my own” but she definitely made up for it with her acting. Jonny Purchase was on for Marius and as much as I love Craig Mather’s performance it is always nice to see a new take on a role. Jonny has a lovely voice but for some reason I don’t think he’s right for Marius. He just looks too tough and mature to pass for a rather inexperienced student. The same goes for Samantha Dorsey as Cosette. She looks too mature and not right for the part. Her singing was lovely though and she and Jonny sound great together. Cameron Blakely and Katy Secombe as Thenardier and Madame Thenardier continue to do a fantastic job. Cameron has changed tiny bits of his performance which I as a returning visitor love to see. And his “Master of the house” is simply hilarious. 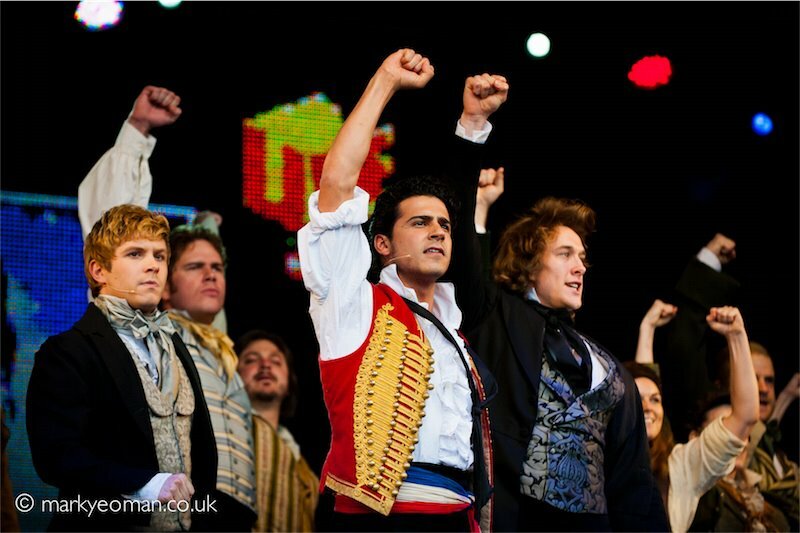 Liam Tamne is strong as ever as Enjolras. He has the most beautiful voice and really commands the stage during ”Red and black” and “Do you hear the people sing”. The ensemble in Les Miserables is known to being vocally strong. The new cast makes no exception. Hearing the full cast sing “One day more” is a goose bump guarantee and the various members of the ensemble show off their impressive voices throughout the show. A special mention for James Winter who I was lucky enough to see as Bamatabois – I never knew he could be so nasty on stage! Awesome acting and what a fantastic voice! Adam Linstead never fails to make me chuckle with his fabulous portrayal of Grantaire and I really enjoyed seeing Chris Holland as Courfeyrac. Hopefully I’ll manage to catch him as Valjean in the not too distant future. Les Miserables remains to be one of the most impressive shows in the West End. The new cast still needs a little more time to settle into their parts completely but they already do a great job after less than a month in the show. I was slightly worried about seeing this production again after so many of my favourite performers had left at the last cast change in June. But I really was pleasantly surprised by the new cast and will definitely be back to see the show again later this year. Les Miserables is playing at the Queen’s Theatre in London. For more info and to book tickets go to http://www.lesmis.com. Please note: Sierra Boggess, Craig Mather and Liam Tamne will stay with the production until January 2013 so plan your visit accordingly in case you want to catch them on stage.